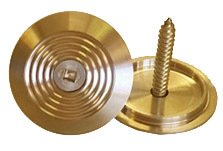 Novaproducts Brass TGSI Hazard tactiles are ideal for retro fit-outs of heritage buildings. The tactiles are made from solid brass and tested to Australian standards. You can expect a high quality, long-lasting and durable product. 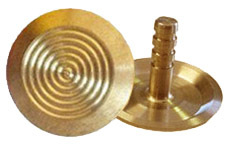 We supply a wide range of brass tactile indicators however our most popular options are the countersunk and the “bang-in” style with nylon plug. In order to make your installation as smooth and easy as possible, we can supply drilling templates for tactiles as well. 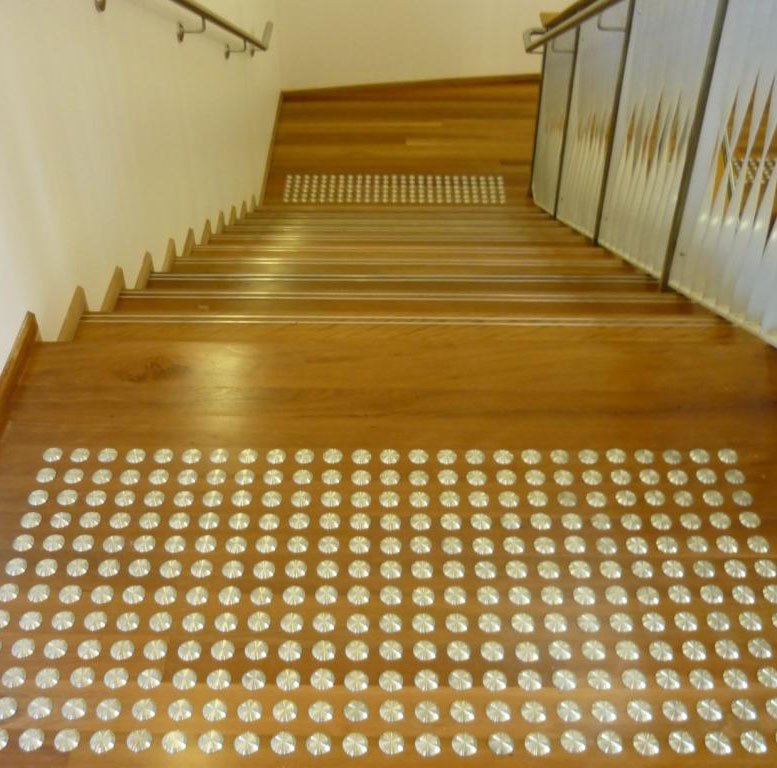 Novaproducts can help you with the installation of brass tactiles if required, we have gained years of experience and have installed them at many projects across Western Australia and Perth metro. 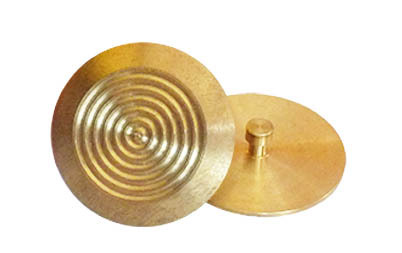 If you have any questions regarding our wide range of brass and stainless steel tactile indicators, contact us today! Bang-in Style with nylon plug also available. Requires 60% contrast with floor surface. WARNING – READ THIS CAREFULLY PRIOR TO INSTALLATION. Due to the nature and properties of Brass please note that it may be subject to natural oxidization and over time may appear slightly darker. This should be carefully considered as it may be NON-compliant following installation in accordance with AS/NZ 1428.4. Specification of brass should be strongly emphasized to the client to maintain brass surface as per installation instructions. Alternatively for peace of mind colour contrast testing can be arranged via an external company. A protective coating will prolong the shiny finish but may slightly colour the black insert on the top deck version. Novaproducts has a passion for innovation and quality that separates us from other suppliers. We take the project with personal attention and offer a consulting appointment and following installation, a certification appointment. Want More Info on Tactiles?